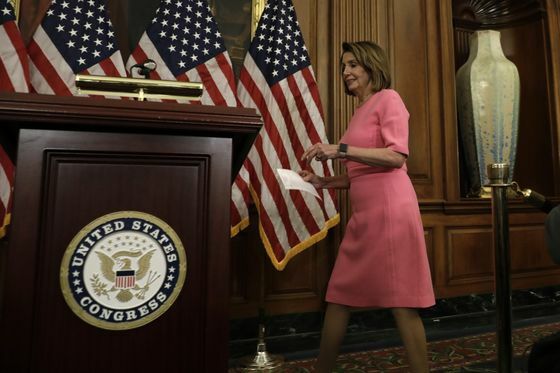 (Bloomberg) -- Nancy Pelosi is deploying pressure and persuasion to fend off a revolt by a band of House Democrats as some party veterans urge colleagues to put pragmatism ahead of their desire for new leadership. With no challenger to Pelosi coming forward, her critics are running out of time and momentum a day before Democrats will nominate their candidate for House speaker on Wednesday. That leaves the anti-Pelosi wing facing two options: force a messy fight on the House floor when Democrats take control in January that could end up diluting their power, or attempt to negotiate and save face. Anti-Pelosi incumbents, led by Representative Seth Moulton of Massachusetts, made a long-shot push Monday to gain concessions from her in exchange for their votes. An aide briefed by the group said that some members would be willing to support Pelosi if she agreed to new leadership elections in a year. Sixteen Democrats, including five newly elected members, signed a Nov. 19 letter pledging to support new leadership. Two of those members now say they’re open to supporting Pelosi, but there are still a handful of newly elected members who didn’t sign the letter and said during the campaign they won’t support her. The group’s biggest hurdle, however, is the lack of a viable candidate to oppose Pelosi, the current minority leader who served as the first female speaker from 2007-2011. "Look, you made your point," said Gerald Connolly, a Virginia Democrat and Pelosi ally said of her critics. "However, they’ve got themselves in a bind here, they don’t have anybody they can rally around. Their critique she was a big albatross has imploded with the election results; we’re still winning seats." Democrats won 233 House seats to 200 for the Republicans with two races still undecided, according to the Associated Press. Pelosi, meanwhile, has been chipping away at her Democratic opposition. 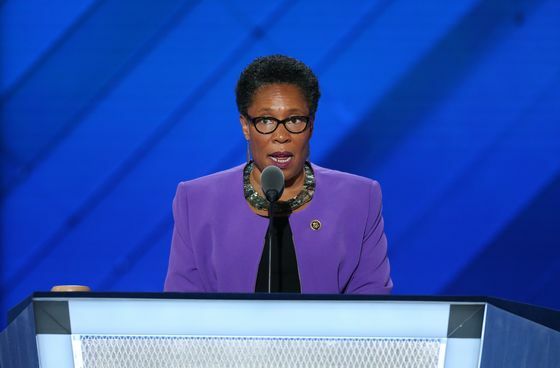 Representative Marcia Fudge, an Ohio Democrat who floated the idea of running against Pelosi, endorsed the minority leader after Pelosi promised to make Fudge the chairwoman of a House elections subcommittee. Fudge was also hobbled after a former Ohio judge she once supported was accused of stabbing his ex-wife to death this month. Representative Brian Higgins, a New York Democrat who signed the Nov. 19 letter calling for new leadership, also endorsed Pelosi last week, in exchange for a role leading a Medicare buy-in bill and a promise the House would vote on an infrastructure bill, a longstanding bipartisan priority. "I took a principled stand on issues of vital importance not only to my constituents in western New York but also to more than 300 million Americans whose lives can be improved by progress in these areas," Higgins said. "A principled stand, however, often requires a pragmatic outlook in order to meet with success." Others on the list have sought to reassure voters back home that they’re not full-on obstructionists. Representative Stephen Lynch, a Massachusetts Democrat, told a Boston TV station that he would support Pelosi over a Republican. “If it becomes a choice between a Republican and Nancy Pelosi, I’ll obviously support Nancy Pelosi,” Lynch told WCVB. One newly elected lawmaker who had campaigned on generational change but remained non-committal on Pelosi said Tuesday she would support the San Francisco Democrat. "You can’t beat someone with no one, and the fact is that voting against Pelosi on the floor is a vote for Republicans," Jahana Hayes of Connecticut said in a statement. Pelosi faces another pocket of resistance from nine Democratic members of the Problem Solvers Caucus who say they’ll vote for her only if she adopts their proposal to change House rules. Josh Gottheimer, a New Jersey Democrat who is co-chairman of the group, said his group is not “obstructing for the sake of obstruction,” and they’re working with Pelosi on their priorities. “I’m optimistic we’re going to get there,” Gottheimer said. He said in a divided government, Democrats must find a way to work with Republicans if they want to pass legislation, beginning with bills that have bipartisan appeal. Some of the changes would prevent the speaker from blocking popular measures by setting up automatic action on bills and amendments with broad bipartisan support. The remaining holdouts are facing internal accusations of being stubborn obstructionists without presenting an alternative. 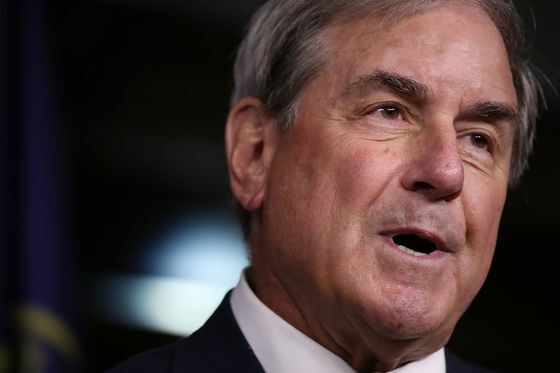 John Yarmuth, the Kentucky Democrat poised to chair the Budget Committee, said it’s "shortsighted" for the incumbents in safe seats to stick to an "anybody but Nancy” strategy. "You’re going to have some people who are pretty much ostracized, because if you have 20 out of 230 who are blocking her election, that’s not going to bode well for them,” Yarmuth said in a phone interview. "They’re kind of floundering right now, maybe looking for some face-saving." Regarding the lack of a contender to oppose Pelosi, Moulton and other Pelosi critics have said a replacement would emerge if she stepped aside. That has failed to convince most House Democrats. "Everybody in the caucus has gone through that exercise and gone through the membership of the caucus and said who would be better than Nancy?" Yarmuth said. "The list is pretty short of the people who could actually be viable alternatives to her." Pelosi, who represents San Francisco, is expected to easily secure a simple majority to win her party’s nomination for speaker on Wednesday. But she’ll need as many as 218 votes on the House floor Jan. 3, assuming every House member is present and votes for a named candidate. The Democrats calling for new faces at the top of Democratic leadership have focused on Pelosi, who has led the caucus for over a decade. But second-ranking Democrat Steny Hoyer, 79, of Maryland, and third-ranking Democrat Jim Clyburn, 78, of South Carolina, have been in top leadership for nearly as long. Moulton said Monday that his push for new leadership is "about the entire, stagnant, three-person leadership team," opening up the possibility of taking on Hoyer, who is running unopposed for majority leader, and Clyburn, who is unopposed for majority whip. But it’s unclear how Democrats would reshuffle the top three positions even if Pelosi were willing to negotiate with her opponents. The majority leader and majority whip positions will be decided in Wednesday’s vote by House Democrats, while the full House vote for speaker won’t be held until January. "Math is not a problem for Steny or Jim. They don’t need to get 218," said Connolly.